I’ve been home about a week from my last business trip, and I am still going through thousands of photos I took on my downtime in Barcelona and Budapest. 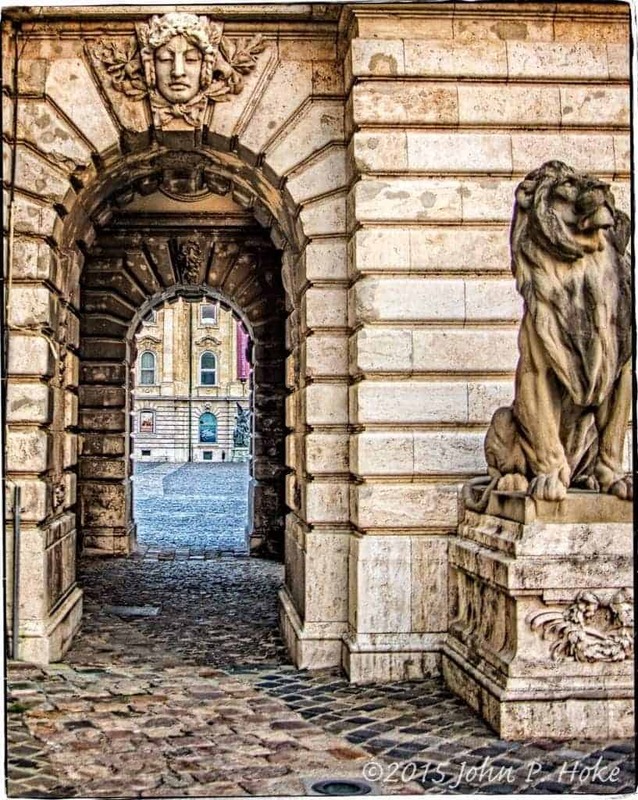 This is one from Budapest, as you enter the courtyard to the Budapest History Museum. I visited the museum on my last trip, but unfortunately it was closed when I was out of the office and didn’t get to go again this time around – maybe next trip. As you walk through the Castle Hill district to get to the museum, you enter a courtyard with two arched entrances guarded by two lion statues, and above each is an incredible carving of a woman’s face at the arch’s keystone. This image was created with three exposures taken with a Nikon d610 and merged into an HDR image using Lightroom. This was then exported into On1 Perfect Photo Suite for further processing. I used a preset I created for the majority of the editing then tweaked the basics a bit till I was happy. Lion Statue guarding the entranceway to the Budapest Museum of Art and History courtyard. This entry was posted in Photography, Travel and tagged 2015, budapest, d610, europe, hdr, hungary, landmarks, nikon, on1, photoblog, photography, statue, street, travel.